Joining your local council of the Knights of Columbus can change your life. As a Knight, you have the opportunity to strengthen your parish, give back to your community, grow in your faith and gain exclusive access to our portfolio of top-rated insurance products to financially protect your family. Councils conduct many programs that support your parish and community. Guided by the principles of charity, unity, and fraternity members of the Knights of Columbus work to overcome the hardships that people face in their parishes and communities. We are a growing organization - more than 1.9 million members - and for over 130 years have committed to overcome the challenges of the need for food, shelter, warm clothing and financial security, as well as provide aid for widows and orphans in our local communities. 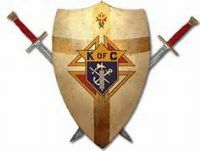 Membership in the Knights of Columbus is open to men 18 years of age or older who are practical (that is, practicing) Catholics in union with the Holy See. Let us work together to bring Christ's mercy into the world! 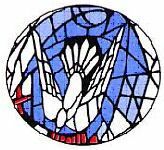 As the Diocese of Memphis and members of the Catholic Church, we are the hands of Christ called to bring mercy through spiritual, educational and social means. In Christ, we seek to offer strength and comfort; to evangelize and to catechize Jesus' modern disciples. We witness to the Truth; bear hope to the hopeless and give people a place to encounter our Heavenly Father. I invite you to consider how your donations ensure the continuation of the many ministries that help improve peoples' lives both now and in the future. Thank you for being a part of the living Church! We look forward to seeing you at the 5th Annual "Holy Cow Steak Cook Off" Saturday April 23rd from 4 to 8 PM presented by the Knights of Columbus#15196 at the Church of the Holy Spirit 2300 Hickory Crest Drive Memphis, TN 38119. Can you imagine the smell in the air when dozens of grills of all shapes and sizes begin to cook Ribeye steaks? It is like being invited to a great Tailgate Event with a chance to “see and be seen,” and then getting your chosen team’s great tasting steak without having to worry about “missing the game.” You do not have to be a backyard chef, more than 400 people come on down anyway to enjoy the event which just begins with the food, drink, great music, maybe dancing, and a Silent Auction! Get your tickets early as they will go fast - $20 Adults Steak Dinner / $3 Kids Meal. Tickets are available from any Holy Spirit Brother Knight or on sale before and after Holy Spirit Masses the first two weekends of April: 2-3 and 9-10. Included in the ticket prices is a Ribeye steak which yields a juicy, flavorful steak that’s second to none. But wait: there’s more! You get baked potato with fixin’s and corn on the cob. PLUS beer, wine, or soft drinks are available at a nominal price. A dozen Teams compete and we suggest if you want to enter your team bring it’s “A-Game” as the competition is sure to be well prepared! In addition to steak judging where the top three winners receive cash and prizes, you may also compete in the Appetizer Challenge. Please find a complete list of rules and entry forms available on our website. GRILL SPONSORS $250 - Promotion in event ads, plus year round website recognition. SPONSORS IN-KIND - $50 Silent Auction Offers, company giveaways, event rentals, etc. Holy Cow is the annual fundraising event for the Knights of Columbus Holy Spirit Council 15196 and all proceeds will go to the Council’s Charitable Fund. 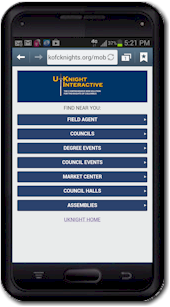 The Knights are part of the world's largest Catholic fraternal service non-profit organization. It was founded in the USA by Father Michael J. McGivney in 1882, and named in honor of the navigator Christopher Columbus. The Knights of Columbus serve the Church Community and it’s Families emphasizing Charity, Unity, Fraternity, and Patriotism.